The Windows Phone Mango update will add tons of features that really make it a heavy hitter in the mobile market. One of the most important add ons to WP7 via Mango are the different languages that it supports. 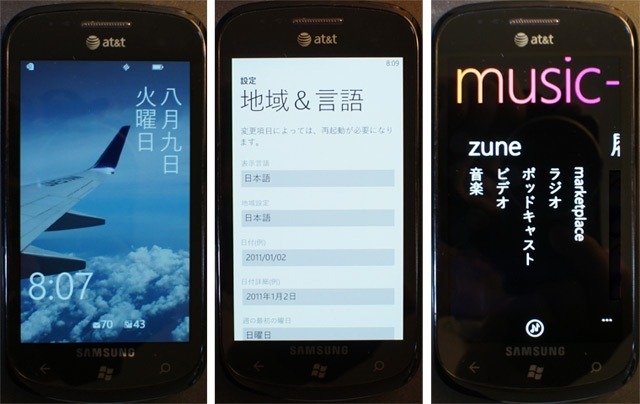 Japanese and other languages will be making their way onto Windows Phone soon but there is a very sneaky way to get Japanese (among others) onto your device now with a quick change to the registry. Thing is that Mango doesn’t allow changes to the registry so this trick will require your device to be reverted back to NoDo. 1.) addÂ the followingÂ entry on your NoDo (7390 or 7392) phone. That’s it! You can pick Japanese as one of the language options on your Mango Beta device. This is a pretty easy trick that has worked for a few people already with no signs of any side effects.Â We alsoÂ have a few codes here that might work as well (in theory) for other languages. Written by: Hyde13 on August 9, 2011.